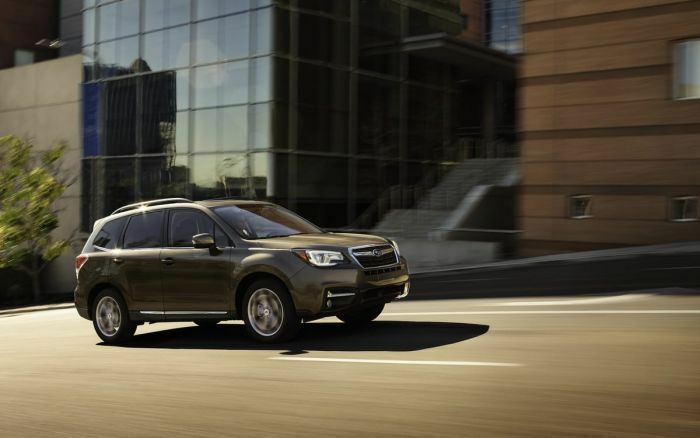 With the cost of a new car on the rise, there are some models considered by Autotrader to be "good as new.” The Subaru Forester makes the top-ten must-shop certified pre-owned (CPO) models for 2018. What does it mean for consumers? Every vehicle Autotrader is recommending includes a desirable, manufacturer-backed CPO warranty that lasts for up to 100,000 miles. That means vehicles like the Subaru Forester come without many of the traditional costs (or fears of major repairs) associated with a typical used car. If the price of the all-new redesigned 2019 Subaru Forester is more than you can afford, 2014-2017 Forester SUVs can be a good alternative to buying new. And Forester hasn’t had a radical redesign, so the fourth-generation models still look fresh today. The average asking price for a certified pre-owned 2014-2017 Subaru Forester on Autotrader is about $23,400, compared to an average asking price of $29,400 for a new 2018 model. And Subaru's CPO program touts 7 years or 100,000 miles of powertrain protection from the original sale date, offering excellent peace of mind.